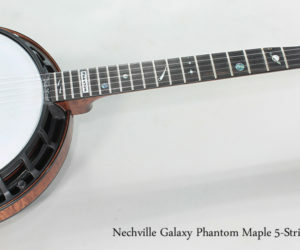 Just in – a new Nechville Galaxy Phantom 5-string banjo in flamed maple! While retaining traditional values, these banjos introduce cutting edge features. 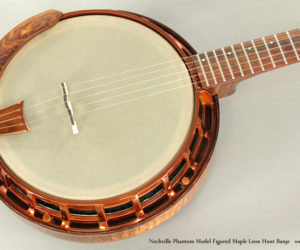 The spectacular Nechville Phantom Model Figured Maple Leon Hunt Banjo is based on the Nechville Phantom XXV (Phantom 25), using all the Nechville Phantom elements plus very highly figured maple for the neck and resonator (rather than the stock figured walnut construction), with a slight walnut tint to the finish.